Attention first time Buyers or Investors! Don't look any further, this is it! 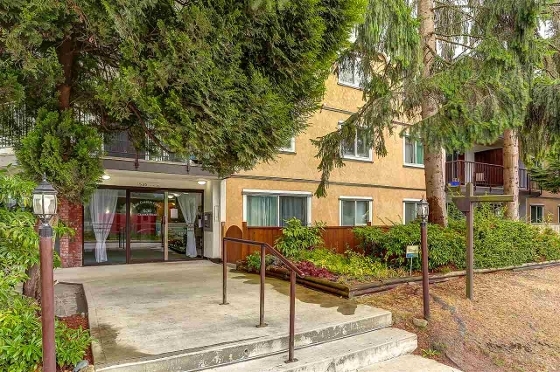 Located only one block from Burquitlam Sky-Train Station & near Lougheed Town Centre and SFU. Tastefully renovated top floor unit, with a SW exposure, facing the courtyard. Bright and spacious with a functional layout & large size rooms. Updated kitchen and bath, laminate floors and newer appliances. Building was renovated in 2013, with new windows, balconies, upper roof, drainage, waterproof membrane, boiler, electrical breaker panels & light fixtures. On-site caretaker and low maintenance fee that includes heat & hot water. One underground parking and one storage locker included. Adult oriented 19+ in a building with no restrictions to rentals & where pets are not allowed. Bus stop at your front door.